Learn how to successfully navigate office politics with executive coaching. It’s nice to finally turn on the television or radio without being bombarded by campaign ads or election blather. No doubt, this election felt like the longest and most tedious one in my lifetime. Dubbed the “Social Media Election,” we were treated to a steady stream of up-to-the-minute news on Twitter and Facebook about each candidate’s mistakes and achievements. According to the Pew Research Center, 66% of all Twitter and Facebook users—39% of American adults—have used social media for political or civic purposes during the election. Campaigns like these—“negative” campaigns that often strike below the belt—give “politics” a bad name. 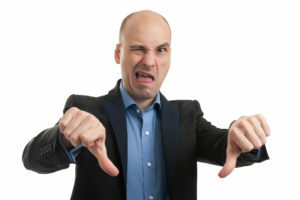 On a regular basis, I have leadership coaching clients who express deep disdain for office politics and are resentful of those who “play politics.” They may have even missed career opportunities because they are naïve or unwilling to learn how to engage in office politics in an authentic and high integrity way. The art of getting things done and reaping the benefits; the power to get things done against opposition, avoid negative implications, and often produce positive effects in the career of the doer. The author’s final verdict? Don’t kid yourself! Office politics aren’t going away so learn how to play the game. The truth is “politics” shouldn’t be seen as something to avoid. Politics are inevitable. Instead of trying to avoid politics, you’ll be better off in your career if you learn how to navigate them to your benefit and the benefit of your organization. Plus, the intensity of politics gets hotter the higher up you go in any organization. Of course, this doesn’t mean maligning or undermining your competitors, co-workers, and colleagues. It does mean “playing the game” with integrity and authenticity, building your brand, and working behind the scenes to get what you want. It means aligning yourself with the right people, learning how to tap into your influence base, and positioning yourself or your issue well. Like most of you, I’ve experienced some nasty politics up close and personal, and I’ve also had the privilege of observing a few master politicians along the way. To help you learn from my mistakes and to share what I have discovered, here are my top four recommendations for “positive politics”. Be well connected throughout the organization. Network, network, network. It’s part of your job—make time for it. Don’t wait to be looking for a job to begin networking—inside and outside your organization. The most powerful and effective influencers are well known and have excellent personal relationships with a wide range of colleagues, from the executive admins to the corporate rain makers. Pre-position any important issue or decision. Work behind the scenes to scope out what people’s vested interests are and solicit support for your recommendation or cause. Ask for advice and listen. Be flexible and willing to negotiate to gain support and achieve win-wins. Build a strong coalition of advocates. Just like a trial lawyer who wouldn’t want to put a witness on the witness stand without knowing what they are going to say, you should avoid going into a crucial decision-making meeting without know what the outcome is going to be. Cultivate and tend to your “trust-worthiness-quotient.” It’s far easier to influence a situation to your benefit if you have demonstrated high credibility and trust in your behavior and performance. People are more likely to give you the benefit of the doubt if they know you are being transparent about your intent and have consistently shown character in your actions. Be responsible for your own self-promotion. In my executive coaching, I call this having a Personal PR Campaign. It may feel awkward at first to tell others about your achievements and credentials, but it can be done in ways that are effective and appropriate. Consider that is you are not willing to get the word out about how good you are and what you are doing, who do you expect to do it? Politics can be a challenging and delicate dance, but one that a good leadership development program should help you with.